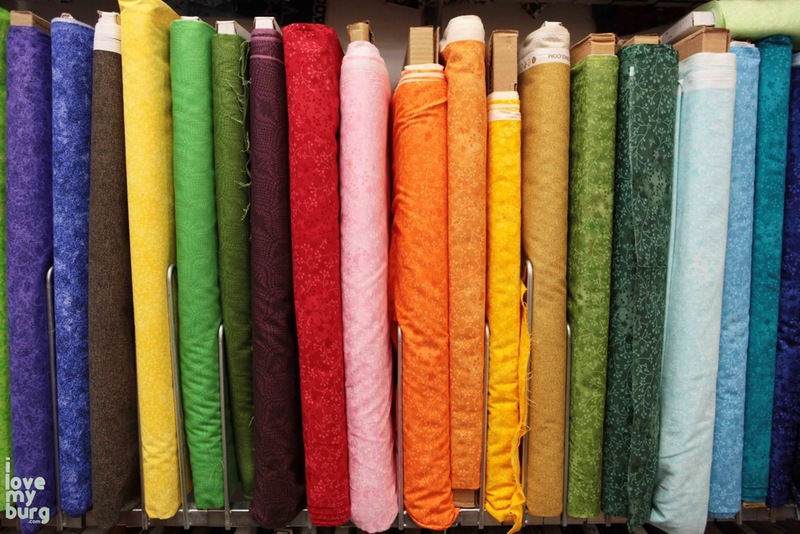 material world: ragtime fabrics. | i love my burg. When you live on a “fixed income” like I do (and I say “fixed” because as a teacher, you get paid the same exact amount every month, with no opportunity for a bonus or commission or that sort of thing), you have to look for creative ways to get stuff that you didn’t originally account for in your budget. Back-to-school supplies, for instance. It’s not that I forgot that school was starting and that we’d have to get those items… but I didn’t budget for it correctly and man, those things add up! We also had an unexpected bunny illness and a trip to the ER. Who includes “bunny illness” in their budget?? During summer break, I like to make little improvements to the house. This year I built lots and lots of cubbies and shelves and storage units. I painted the kitchen table and chairs. I decided I was tired of the colors in the family room, so I recovered all the big sofa pillows. Ready-made shelves and cubbies are pricey, and so are pillows. Have you shopped for pillows lately? You can blow thirty bucks on ONE decorative pillow. Screw that! Yes, doing all this takes time and effort, but it’s worth it. And quite frankly, necessary. So recently, I tackled my final project of the summer: curtains. First, I priced ready-made curtains online. To dress the four windows in my family room would have cost about $225. 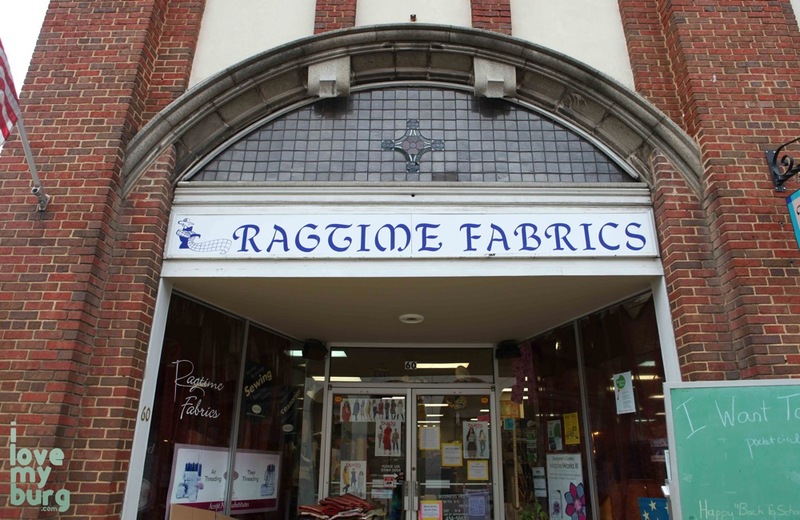 Instead, I went to Ragtime Fabrics and bought plenty of fabric for about forty smacks! Cha-ching! 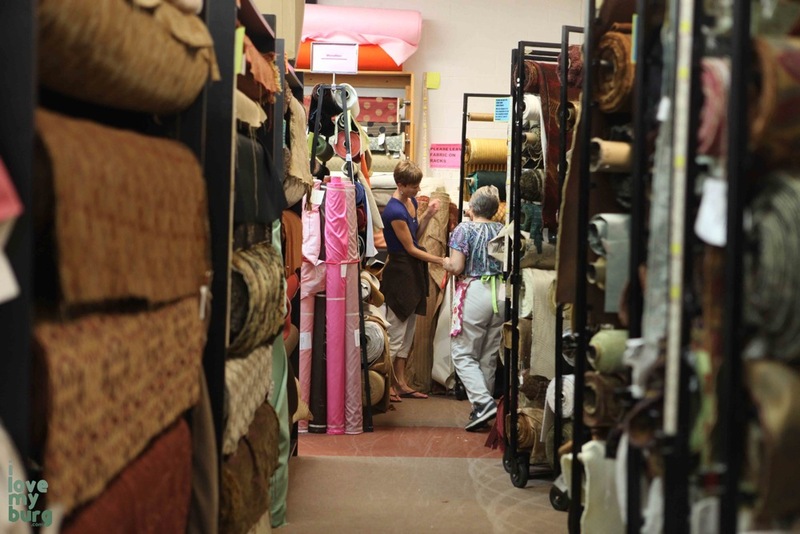 It was a good time for Brandy and me to go to Ragtime Fabrics because we were out of material — for curtains AND for this blog. 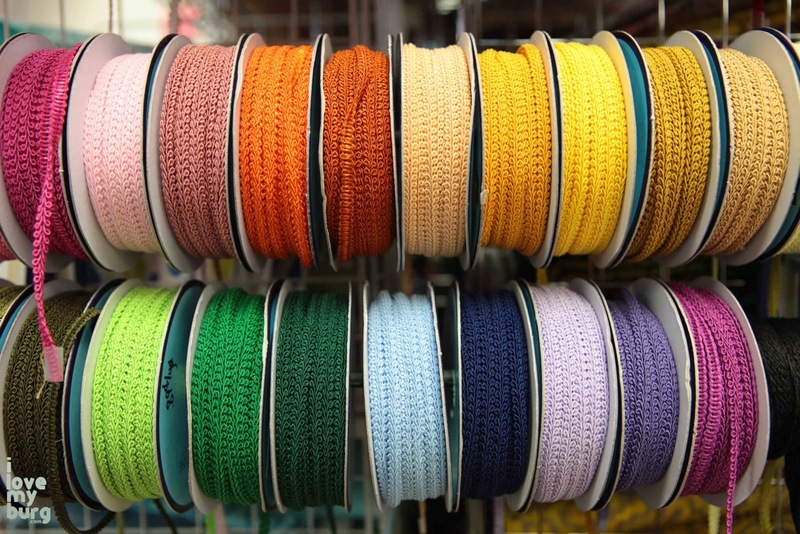 My kids were along with us, and they quickly disappeared amid the rows and rows of colorful cloth. And all that fabric helped drown out whatever annoying noise they might have been making. In talking to the ladies there, I learned that they’ve been in this location — on West Market adjacent to the Artful Dodger — for about 10 years, and as you can see from their Facebook photo albums, they’ve woven many memories. Some of those pictures will have you in stitches! 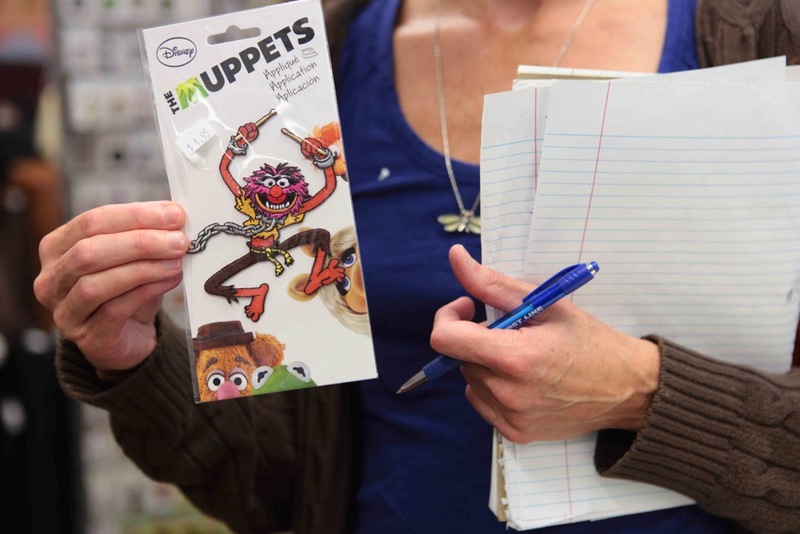 They also sell EVERYTHING else you need for your project, be it a machine or buttons, feathers or stuffing, thread or even a Muppets patch. 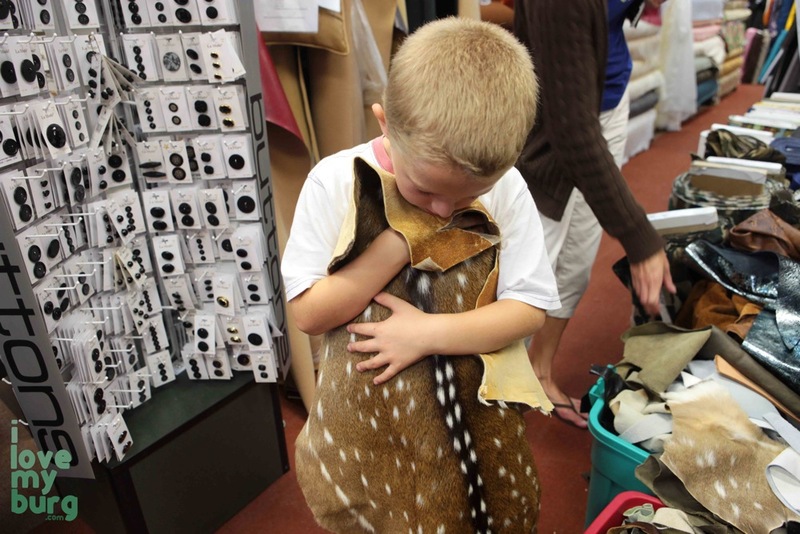 After far too long poring over hundreds of fabrics that I loved equally, my kids’ behavior was starting to unravel. Kids are great at forcing you to decide quickly. 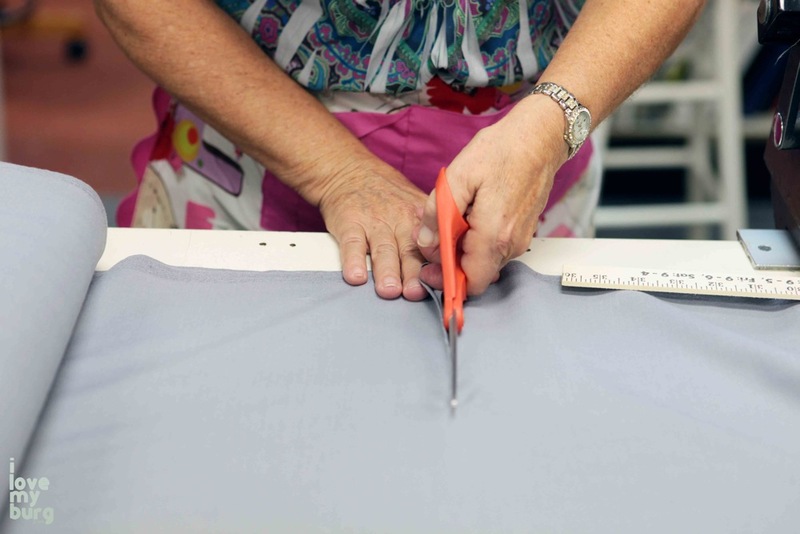 As they bolted hither and thither through the store, I gathered up two fabrics — one purple, one gray — and headed to the front. The employee gently cut several yards for me, I thanked her, and we left. I left with more ideas than I have time for. Of course, you can’t be that close to the Dodger without stopping for a beverage. So we did. But fast, because I wanted to get home to my project! 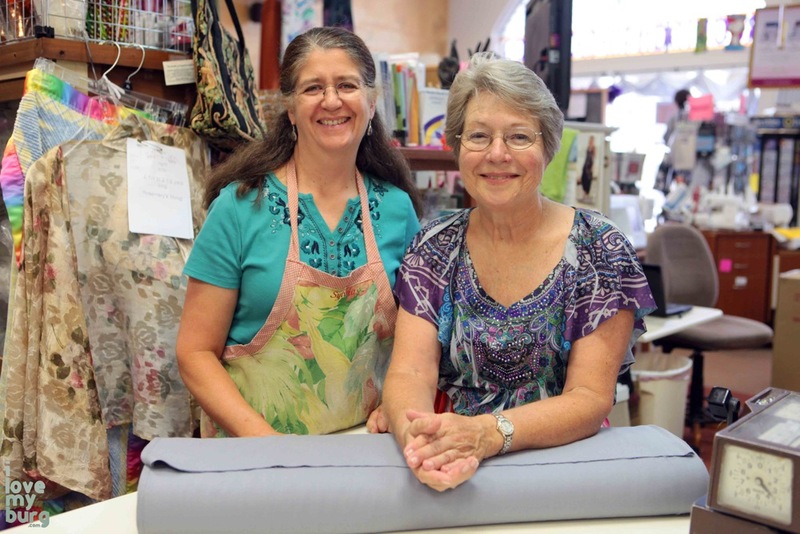 Ragtime Fabrics also offers classes, lessons, and clubs, which you can find on their calendar. 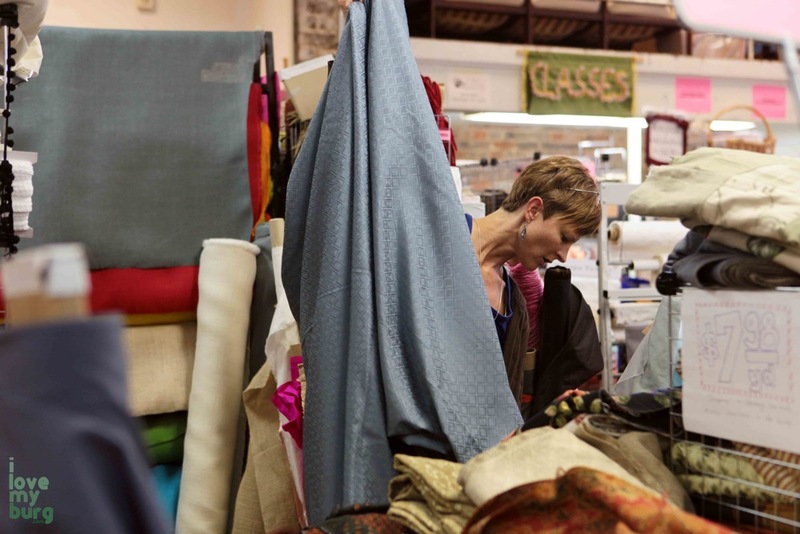 Whatever crafty idea you’ve got up your sleeve, even if it doesn’t involve sewing, you should swing by this place because, chances are, for a very reasonable price, they have that little rare craft item you’re looking for. And that’s no fabrication. Oh golly. This entry was posted in burg on a budget., events, kids, retail and tagged Brandy Somers, buttons, cloth, crafts, fabric, Harrisonburg Virginia, Katie Mitchell, material, Ragtime Fabrics, ribbons, sewing, thread by junebug. Bookmark the permalink. I hope you’ll post the finished pillows?! !